October is National Breast Cancer Awareness Month and although I’m eking by with this post just before the months ends, there’s never a bad time to talk about breast cancer prevention. For me, the words breast cancer strike too close to home. Two of the most beautiful and strongest women I know, my mother and maternal grandmother, are both breast cancer survivors. My grandmother was diagnosed at age 60 and my mother was diagnosed at the young age of 40. After a visit with my gynecologist, she relayed the unsettling facts. I am considered in the category of having a “strong family history” and therefore 20% more likely to face breast cancer in my lifetime. There was no two ways about it. That meant early screening for me recommended to begin at the age of 30. Twenty percent more likely-that’s a tough pill to swallow. You would think I would have sprinted to the imaging place, a poster-child for prevention, after hearing that news, and knowing two of the most important people in my life had faced the harrowing words, “You have breast cancer.” But instead, I buried my head in the sand. Age 30 came and went, and as I celebrated with a Throwback Party to the 80′s, I left my little mammo script hanging on my bulletin board for some day soon. Then, I got pregnant. Then I breastfed for a year. And then, finally, after a stern “talking to” from my Mom (yes that still happens at age 32) I scheduled my first mammogram. Why was I waiting? I was scared. Not just scared about going for the mammogram itself, but terrified of even letting the thought of breast cancer be a possibility in my life. I went anyway. And it was absolutely fine. Did it hurt? Not at all. Yes, there’s some pressure. Yes, there’s some squeezing. Yes, you have to hold your breath for a few seconds while the images are taken. And yes, there’s a woman that holds your breasts and places them on a little dinner plate-like shelf and that’s awkward. But otherwise-there’s nothing to it. Trust me if you’ve given birth, the discomfort and/or awkwardness is not even a blip on the radar. I ended up worrying more about not being able to wear deodorant-did I smell?-than anything else. The entire mammogram procedure took about 30 minutes. Why had I waited two years longer than I should have? Why would I ever wait again on the best possible way to find breast cancer as early as possible? We’ve all heard it before, early detection is key. I won’t wait again. Thankfully, my results indicated everything was absolutely fine. My images were clear. I could breathe a sigh of relief, and hope that they forever stay clear. And if breast cancer is in the cards for me, somewhere, at some point, down the road, then I can only pray for early detection, and hope that I’m given the strength of my mother and grandmother, to see me through. 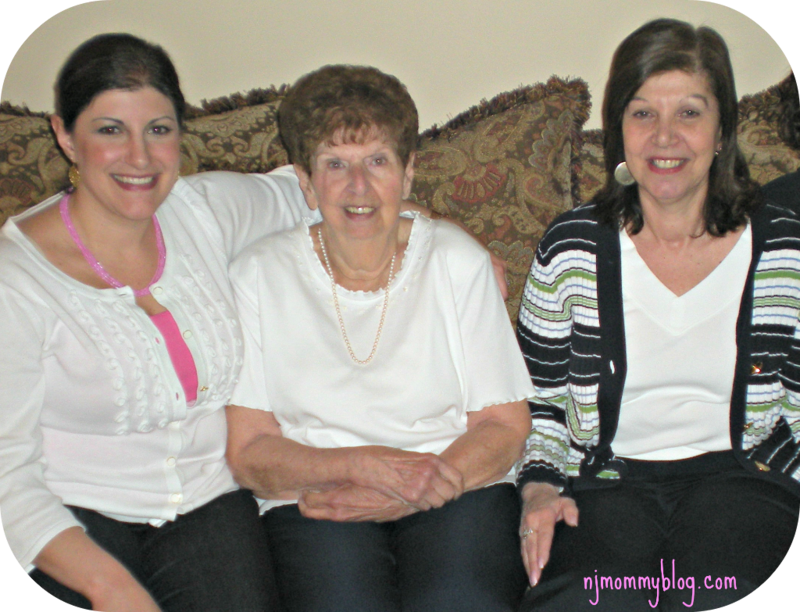 This post is lovingly dedicated to two true survivors, Mom and Gram.